Where I live, the weather is hot most of the time. We even had a pretty warm fall and winter. You see people wearing shorts and spring dresses and short sleeves almost year round here. The one most popular thing that people in my city wear are flip flops though. 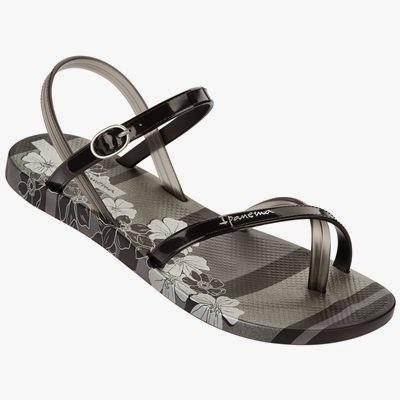 I'm always looking for some cute new flips to wear and ipanema just so happens to have some really nice ones. Have you visited their site before? They have so many really cute shows for women, men, and kids too. You can get a few pairs for everyone in the family! Sounds perfect for when you're going on a family vacation, doesn't it? Sounds great to me, at least, for when my family heads on our annual beach trip. I've decided to create a wishlist of a few pairs of shoes from ipanema that I'd love to add to my own shoe collection, as well as a couple of pairs for my husband and son, and upcoming baby, at home. 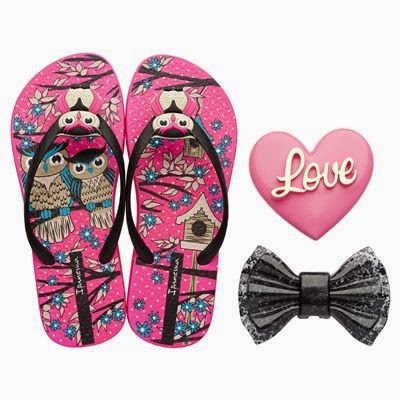 These adorable shoes come in a variety of colors and designs. What's really neat is that you can switch the straps on them. I love the color and design of these particular ones. I love these shoes. Owls and flowers! So girly and too cute. Look at that little bow too! These have to be my favorite of all the pairs available on their site. They come in a variety of colors and designs too. These are another pair that I would love to own. I really like the way they look and I like all of the straps. 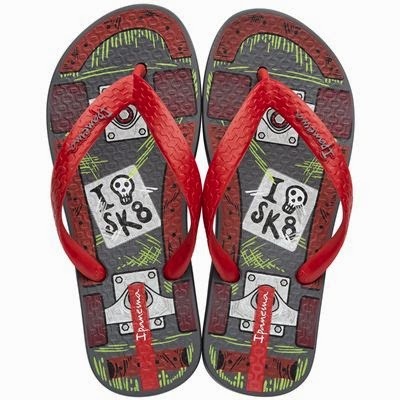 The overall design is a little dressier than traditional, plain flip flops. These would look nice with a little summer dress, in my opinion. Yes, there are a few other colors and designs available. My husband likes camo style so I'm pretty sure he'd like a pair of these. I would love to buy him a pair to wear out on the beach on our vacation. 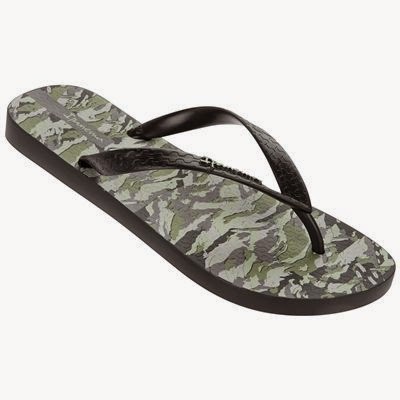 He could wear these with some of his camo shorts or basically with any solid color clothing he owns. These are pretty nice. I like the little design on the strap. There are a couple of other camo colors available. I LOVE these shoes for kids! My son's favorite color is red and he loves skulls too. 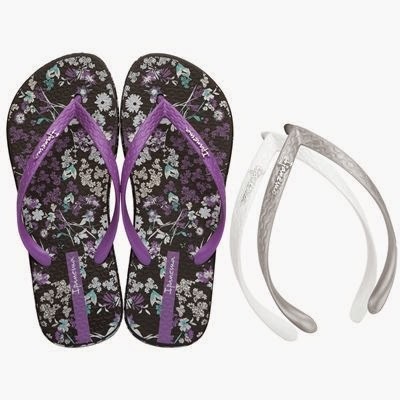 He'd go crazy over this pair of flip flops. They'd look great with so many of the outfits he already owns. He probably wouldn't want to take them off. There is one other color available if red isn't for you. What kid doesn't like little animals on their shoes? These are another really adorable pair. 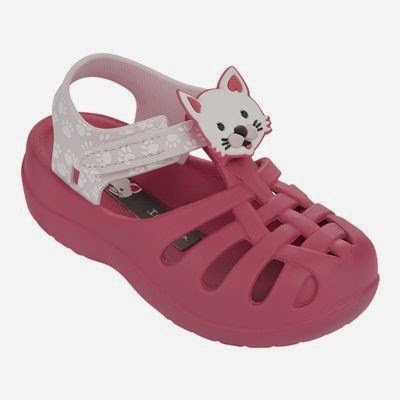 I would love to stick my baby's little feet in these when she's big enough. They aren't only cute looking, but they also look pretty comfy. I really want these! Ok, so that's my little wish list. There are several more pairs on their site that I would love to own, but that would make this post way too long. If you want to see all of the pairs of shoes that they have available, you can visit their website. I'm pretty positive that you can find something you like since there are so many options of colors, styles and designs for the whole family. Their prices seem very reasonable as well, compared to many other flip flops and sandals that I've purchased in the past. They are one of Brazil's hottest brands and have new designs every season and they are 100% recyclable. If you'd like to create your own wishlist from ipanema, etailpr is actually looking for some bloggers to share their own!